A crisp red, blue and navy check is perfectly accented on a soft grey background. A polka dot reverse and navy piped trim adds to the clean, fresh appearance of this range. Duvet cover, Oxford and housewife pillowcases as well as a contrast throw and cushion are available separately. 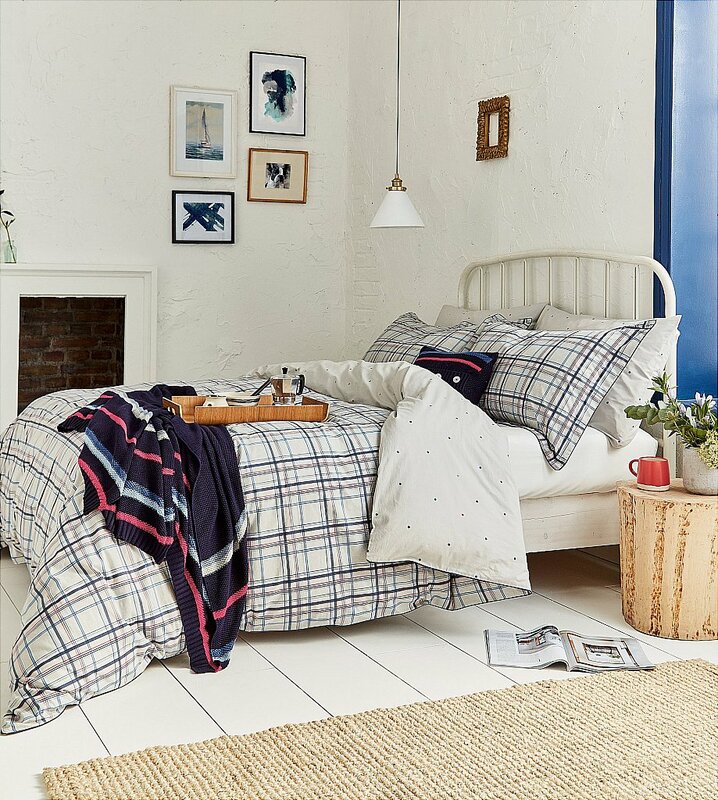 In blue, navy and red the striped moss stitch throw is designed to pair with our Nelson Marl Check bedding range. The cushion features chunky buttons and matches the moss stitch throw. I would like more information about Neeson Marl Check Bedding In Grey by Joules.